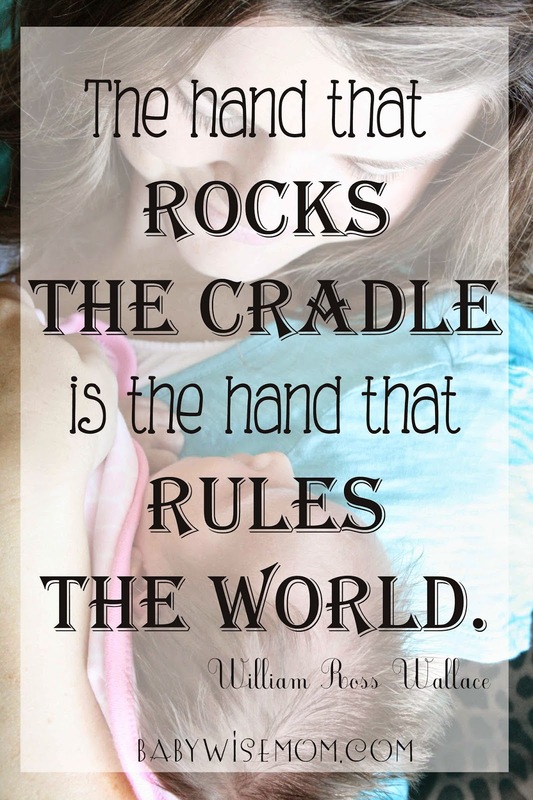 William Ross Wallace wrote a beautiful poem that outlines the significance of the role of a mother titled The Hand that Rocks the Cradle Is the Hand that Rules the World. The title of the poem says it all. Mothers have a significant positive impact on the world. Not just our individual children, but the world. While this is a sentiment dear to our hearts as humans and perhaps even something we will quote with warm fuzzies, how much is it truly believed by society as a whole? When I was a senior in college, I had some professors who really were encouraging me to go on to get a Master’s Degree. Let me say, this is without a doubt a dream of mine. I love school. I love learning. I thrived in a university setting. I was named the most outstanding graduate in my department. While one professor was very encouraging and respectful of my decisions, another one completely scoffed at me.You see, my goal was to be a stay at home mom. My professor made it clear that she thought I would be completely wasting my talents and abilities to “only” be a stay at home mom. But I believe, as Wallace did, that the hand that rocks the cradle is the hand that rules the world. And frankly, even if I thought I would only impact my children and no one else, I would have no problem being a stay at home mom. When I say that, I in no way am trying to put down mothers who work, I am simply saying that I do not feel I wasted my time, talents, abilities, or education by being a stay at home mom. We mothers have enormous capability to impact the world by our influence on our children. I have heard countless stories from people in their biographies of the mother being a supreme influence in the life that person. I imagine that all people, if they were to write a biography, could pinpoint significant moments from their mothers that brought them to where they are today. The next time you are feeling like your role as a mother is insignificant, remember this poem. You are influencing the world. Make it a good one. JB, thank you for the thoughtful note. I appreciate your comment. I definitely am able to reach a lot of people! You are correct. You have such a stable and wise perspective. I can always count on you for a substantive and valuable read. You're awesome and a such a voice of reason for me when I feel like I've lost my mind with my 3 yr old and colic baby. Thanks for what you do. Keep going!